Vanilla is often taken for granted as an ingredient, yet its gentle, heady flavour is something to be celebrated. 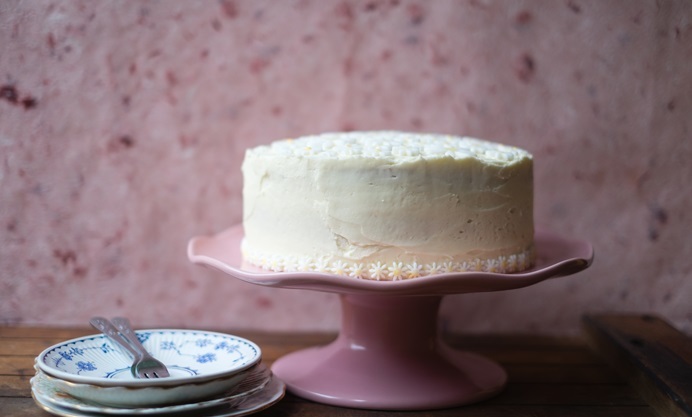 Angela Field puts it to good use in this stunning easy vanilla cake recipe, complete with some subtle summery decorations. Harvested from a type of orchid, vanilla is one of the most decadent flavours in baking, and comes in many varieties and preparations. Pods bursting with seeds are added to custard, sugar is steeped with the whole fruit until the flavour of vanilla has been absorbed, and finally the spent pods and lower grade fruit have their flavour preserved in the form of vanilla extract. To showcase the deliciousness of this ingredient I have created a vanilla sponge cake decorated with vanilla buttercream. 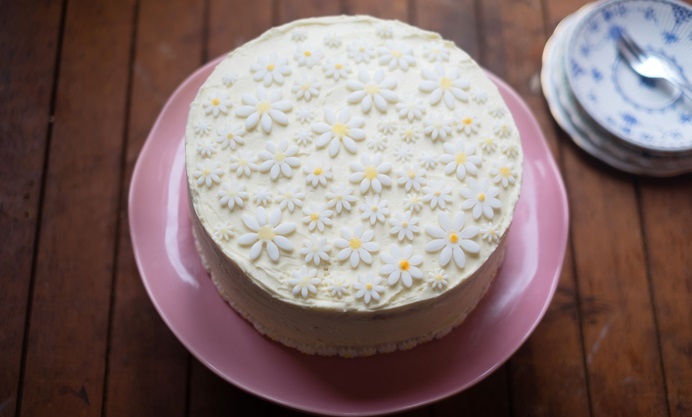 Fondant daisies are added for a touch of fun, but if you don’t have the cutters, or the inclination, they can be left out as they don’t impact the flavour of the finished cake. This is such an easy cake to make and it’s great for a birthday or a celebration as it can be prepared in advance and decorated to suit the occasion. 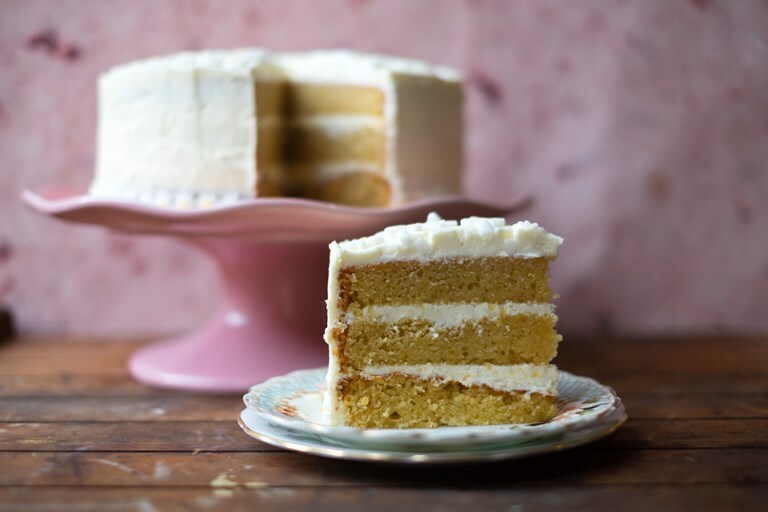 Layer cakes usually use a combination of multiple flavours, so something as simple as vanilla is often overlooked. If you prefer, jam can be used to sandwich the layers together, but I like the flavour of vanilla running through the whole cake.